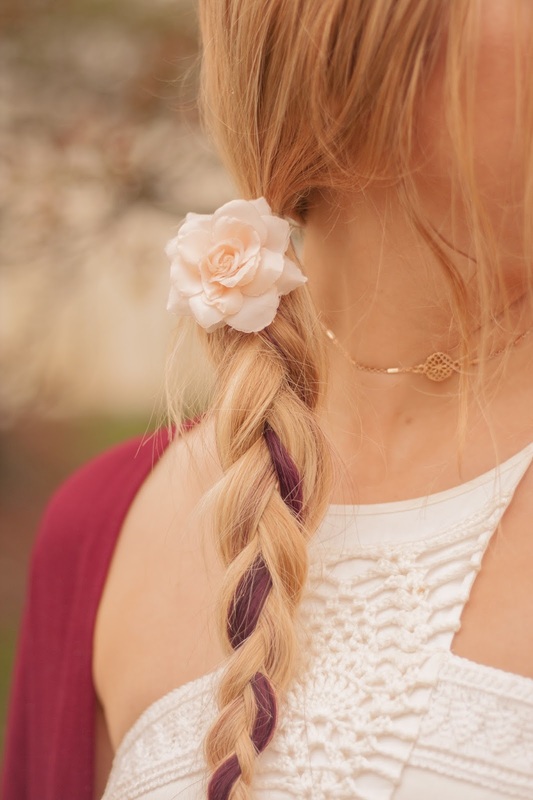 Beauty | How-To: A Whimsical & Colorful Spring Braid With Flowers! 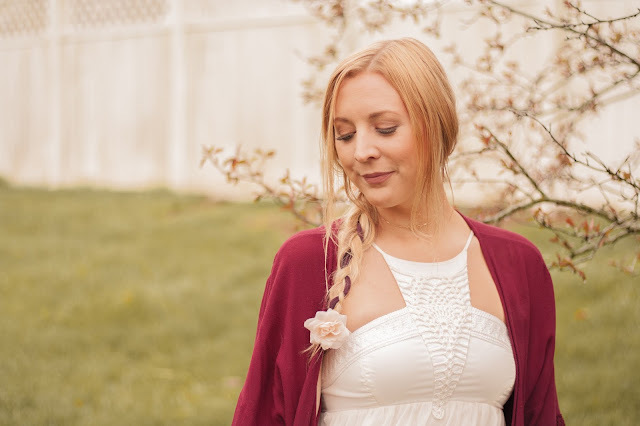 Spring has sprung and I love trying new hairstyles and beauty looks with the seasonal change. I love that warmer temperatures make flowers in your hair instantly more acceptable haha. 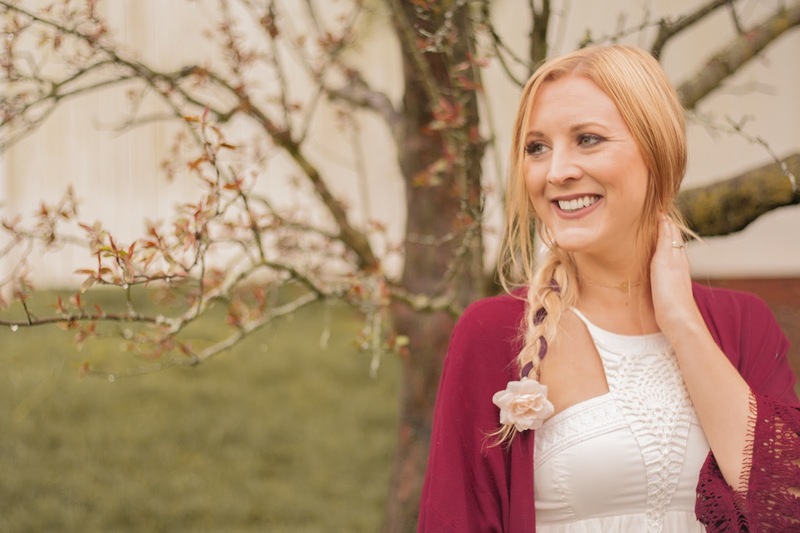 I thought this whimsical braid would be perfect for prom, or a wedding, or everyday really. I wanted the braid to have a little pop of color and I knew I wanted to try a new Schwarzkopf color ULTÎME® shade for it. I picked mine up at Walmart and I was so happy with it. I love that there's always a shine to the color and to the extension after it's been colored. 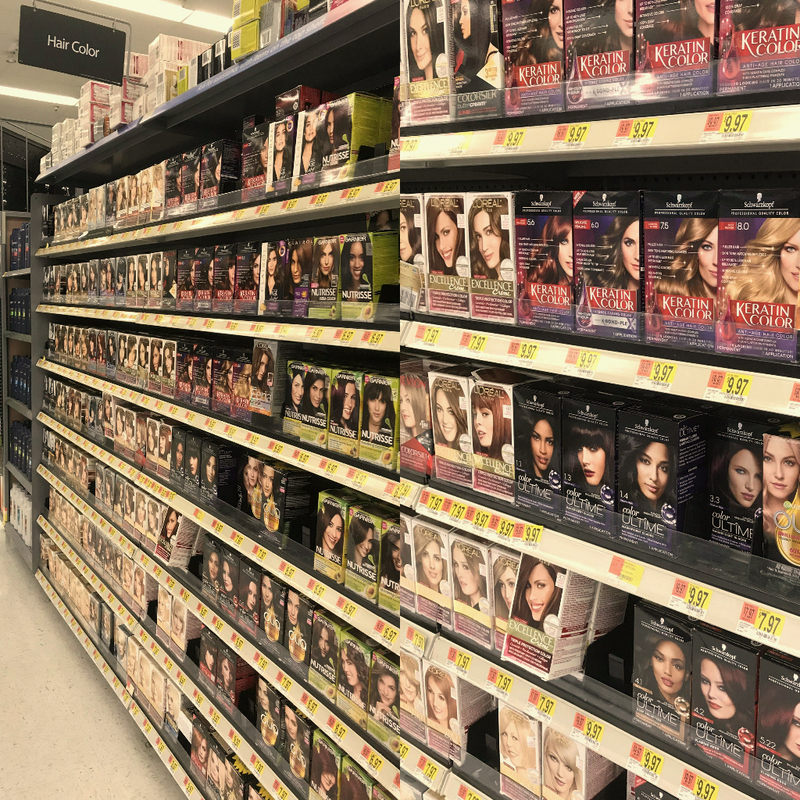 It never looks dull when I use Schwarzkopf color ULTÎME®. The color and feel of the hair extension don't fade, even after a few weeks! If you're curious, take a look at their brand page to learn more! I chose to use the shade Amethyst Black for my colorful streak. 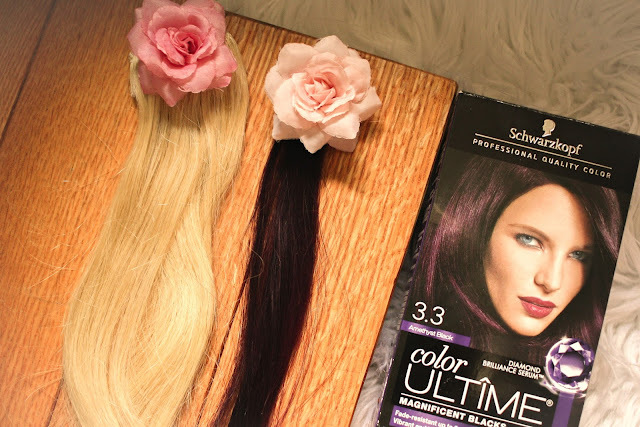 I've loved using Schwarzkopf color ULTÎME® to easily switch up my look. I colored my extensions a deep red shade in the fall using Schwarzkopf color ULTÎME®. It just gives such a long lasting, vibrant color that defies fading for up to 9 weeks. The color is also true to the box color which is super important to me. Each kit comes with a pair of gloves, an applicator bottle with developer lotion, color cream, and a conditioning treatment. It also comes with an instruction leaflet with easy to follow instructions and pictures! The first step is to perform an allergy test before application. Next, put gloves on and cover your clothes so that you don't spill on them! Take off the tip of the application bottle and squeeze all of the color cream into the application bottle. Shake the bottle until everything is mixed thoroughly. Apply the mixture onto dry hair and allow it to work for 30 minutes. Rinse extension with warm water until it runs clear. Shampoo the extension and towel dry it. Then, add the conditioning treatment and allow it to work for 2-3 minutes. Rinse out the conditioning treatment. 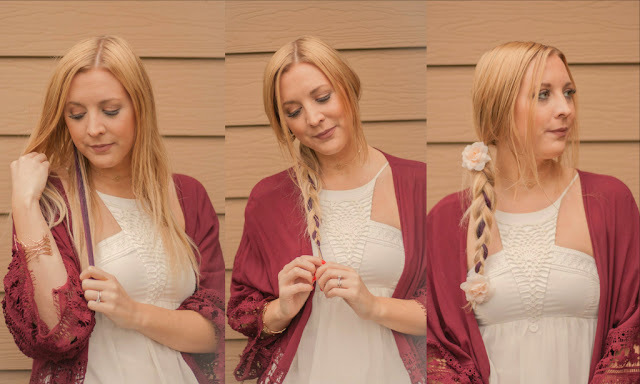 When you're ready to create your braid, clip in the extension and make sure your hair is styled how you want it. I chose to just do a regular three strand braid, but you can do whatever kind of braid you want. I tried to make the colorful streak show up in the braid as much as possible, by pulling it forward in the braid. It did take me a few tries before I was happy with it! I also used a little bit of hairspray after it was fastened with a hair tie. This might be my favorite part! Just clip in a few flower clips and your look is complete! and search #FashionColorExpert for even more spring hair inspiration! You can also go to the hub to see more looks!